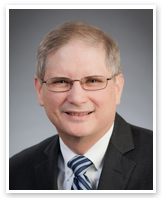 Wes is an experienced litigator and transactional attorney. The breadth of his jury trial experience extends to cases involving violation of non-compete and confidentiality covenants and the theft of trade secrets, breach of fiduciary duties, breach of contract, fraud, employment discrimination, wrongful discharge from employment, and property damage and construction disputes. Wes has particular expertise in cases involving injunctive relief, such as disputes concerning non-compete and confidentiality agreements, the alleged violation of civil rights, and employment discrimination. Wes also assists many of the firm’s clients in the establishment of new business and charitable enterprises. He has often organized limited liability companies, Subchapter S corporations, partnerships, and 501(c)(3) not-for-profit organizations. He has represented small business owners in shareholder disputes, and charitable organizations in claims of breach of fiduciary duty. He also counsels clients regarding employment and business-related issues. Wes is a member of the Columbus Bar Association Labor and Employment Law Committee, the Ohio State Bar Association, the American Bar Association, the Society for Human Resource Management, and the Tri-Village Rotary Club. Wes completed his undergraduate studies at Ohio Northern University, where he was awarded degrees in both business administration and political science with high honors in 1980. He is a 1983 graduate of The Ohio State University College of Law. A frequent author and lecturer, Wes has published articles on a wide variety of topics. He is frequently invited to speak at seminars and conferences. Wes chairs the Community Service Committee of the Tri-Village Rotary Club. He is a former member of the Board of Directors of the Upper Arlington Area Chamber of Commerce, and chaired that organization’s Economic Development Division. He was a founding trustee and served as the Chairman of the Columbus After-School All-Stars, Inc. He was one of the founding Trustees, of the Chamber Music Connection Inc. He has also served as a member of the Boards of Trustees of the Columbus Early Learning Centers, Inc., Take Me Out to the Ballgame, Inc., and the Building Environment Council of Ohio.